When two bodies are found sprawled at the bottom of the Devil's Kitchen in the mountains of Snowdonia, it's believed the man found dead killed his wife and then committed suicide. But something doesn't feel right to DI Ian Drake, and his gut instinct has never before let him down. Or murder on a mountain? Drake suspects at least one of the deaths could be suspicious, but who would kill such an ordinary couple, and why? This might be Drake's first murder inquiry, but his years as a detective have taught him one thing - every murder has a motive, and every killer leaves a trace. Short murder mystery brilliantly written and narrated! Sometimes a short story is a winner. After two losers that I returned, I was delighted to find this gem. Trying to solve a double death scene, officials meet some quirky characters. Well written and narrated, this book had an ending I ever saw coming. Looking for more in this series. Very highly recommended and worth it. I listened to the audiobook of this novella and I have to say, the narration by Richard Elfyn, was excellent. So I was already in a receptive mood as I prepared to set out for a long drive. I'm actually not quite sure what the purpose is of prequels. I've asked a few authors at Lit Fests and got varied responses, though it seems it's often the publisher's idea. In this case, we are introduced to detective inspector Ian Drake, just after he has been promoted, and his side-kick, Ceren Waits. They are an interesting pair, as he's meticulously tidy and she's, well, a bit of a slob really. As I'd never read any of Stephen Puleston's books, I had no prior image of either character, which was possibly a good thing. Two bodies are found on a Welsh mountain, husband and wife. The wife appears to have been murdered but it's not immediately apparent how the husband came to be sprawled close by. It would have been easy to have gone with the obvious conclusion - that the husband murdered his wife and then committed suicide, but Drake's intuition suggests there's more to it. 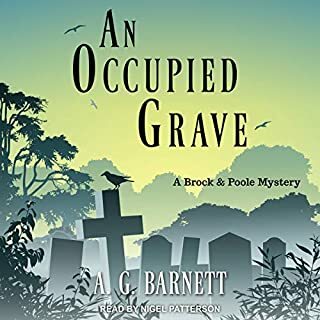 Being his first murder enquiry, he needs to be sure he gets it right and he persuades his superior to allow him a little more time to turn all the stones. It did make me think about how easy it would have been for the incorrect conclusion to have been drawn and the case closed. How often must this happen?? This was an enjoyable listen, not too drawn out and fairly straight forward. I wasn't confused at the end as I have been by some books I've read recently. I'd probably give the first book in the series a try if it were to become available in audio - and especially if it's read by Richard Elfyn. Stephen Puleston gives us insight into the intriguing personality of Inspector Drake. For those that have read the series, this short story s a bit of history and fills in the developmental timeline for the fastidious and somewhat obsessive character. For those just starting the series this is a Must Read First story. 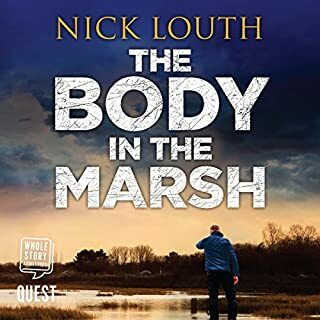 The author does a good job of developing the detailed characters of the victims, in such away that you are settled and comfortable with the outcome if the inspectors case! Great Short to a New Series! 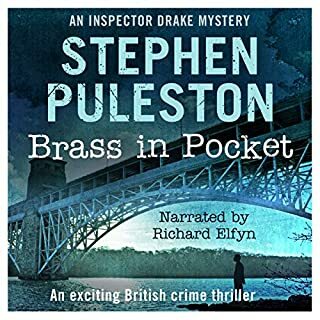 I really enjoyed this Inspector Drake short story by Stephen Puleston. I was immediately pulled into the vivid imagery of the English (Welsh) countryside. I find police procedural stories to be fascinating and this one did not disappoint. Richard Elfyn performed the book wonderfully. He added the right emotions and sound production was top notch. I loved the twists this book had, and did not expect several of them. Kudos to the author. I will definitely listen to more books by this author and narrator. Murder-suicide in the English countryside? I was a HUGE fan of The Inspector Lindley series on PBS so I was excited to listen to this novella...and I was not disappointed. DI Ian Drake is dispatched to investigate an apparent murder-suicide. This is Drake’s 1st case as the senior officer so he intends to not muck it up. Drake and his partner, Karen, feel that this is not a simple jealous husband killing his wife then himself but their boss thinks otherwise. Will Drake get to the bottom of the mystery, while balancing the needs of his family? This is a novella so it is short but totally worth the listen and whets the appetite for more DI Drake! An excellent introduction to a new crime series. I am aware this series started a few years ago and this introduction novella came a couple of years later. For me, it's a whole new start for this detective. The story: I really enjoyed this police procedural, the dogged determination of Inspector Drake with his neatness OCD. After the case was concluded for his superiors he takes it upon himself to ferret out the real killer, and amidst many red-herrings, he gets his man. None of the plot seemed contrived and he got his man by sheer doggedness and following the clues and his hunches/ experience rather than blind luck. This is a literary crime drama too, with lovely prose describing the area of Devil's Kitchen and the town. I was entranced as much by this as the following of the crime. The audio: This was excellent. The narrator was so natural and inflexion perfect. Accents were good, and the fast pace of the story came through in the narration too without being rushed. All in all a great story and I'd definitely recommend if you're after a new crime series. I will be reading the rest. This is the first book in the DI Drake series that I have read/listened to and it is a brilliant start. 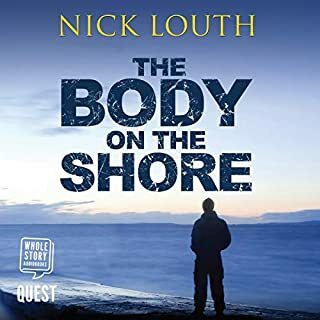 The book follows DI Drake as he investigates a murder in Snowdonia where two hikers have fallen to their death, one of whom as a knife sticking out of their back. A great introduction to the series. 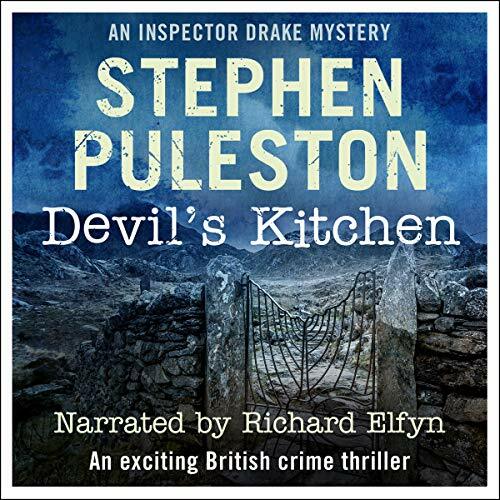 Devil’s Kitchen is a 70 page / 2 hour 21 minute novella prequel to Stephen Pulestone’s five Inspector Drake novels, set in fabulous north Wales. I listened to this via Audible, and it just happened to be the perfect length for my weekly drive to Wales. And the perfect setting too! 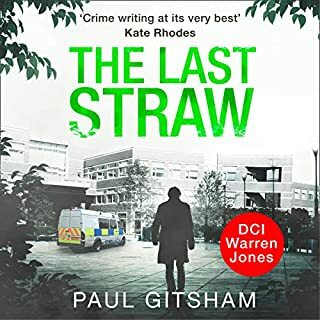 Although this is a relatively short novella, the story is very complete, and never feels rushed, and there are enough twists, turns and dodgy suspects to keep fans of police procedurals very happy. Stephen’s writing is very crisp and clean, and his descriptions, brought to life for me by excellent narration of Richard Elfyn, paint a very vivid picture of the mountainous terrain of north Wales. I think releasing a prequel novella is an excellent idea to give potential readers a decent idea of a writer and their protagonist. And with Devil’s Kitchen, this pays off very well; I for one am keen to read more in the series. We listened to this on one of our frequent trips around Wales. The location of the story was Snowdon which is familiar to us. The book certainly gave a sense of the rugged terrain. This novella is a prequel to the other Drake stories. The crime was interesting with a satisfying denouement. Looking forward to the other Inspector Drake stories after this great start. Although this is a short novella Stephen Puleston has packed lots of action into this story. Ian Drake is a newly promoted DI in charge of his first case as SIO when two bodies are found. We learn that Drake is conscientious almost to the point of being OCD. His sidekick, DS Caren Waits, is his opposite - a bit of a slob. The case looks initially like a murder/suicide but Drake isn't convinced. The story is set in Snowdonia, an area I know from family holidays, and I like books set in familiar locations, which were described well. I listened to this in one sitting, and although short the story draws you in and there were several twist to keep you guessing. 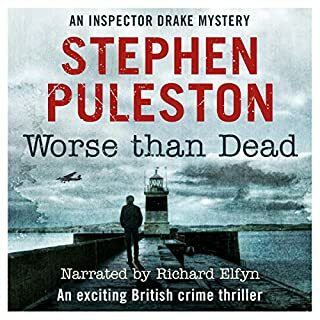 I haven't read anything by Stephen Puleston before but I will definitely try one of the full length Drake novels. Really enjoyed this detective story and especially loved the Welsh setting being a Welsh girl. This story kept me hooked and I devoured it in one sitting. Really enjoyed this police whodunnit. As always, a few red herrings in this type of book and this has a satisfying conclusion. The narrator was very easy to listen to and the story flowed well. A great full packed story. A cop who wants to be thorough and do a good job. Determined to sort this case out. Superiors who would make do. But guess what, this is getting sorted. Enjoyed the pace and narration. Story was great. Jam packed in a short time. This is a good story based in Wales. Good realistic characters with interesting plot twists. I look forward to reading the series now i have had the introduction to the characters. I struggled to get into the narration a little bit, but this didn’t have an impact on the enjoyment of the story. Well worth a listen/read.